In Frederick, Maryland, all vehicles must undergo a safety inspection, also know as a Maryland State Inspection, before it can be registsered. Periodically, most vehicles also must have their emissions tested under the Vehicle Emissions Inspection Program (VEIP). 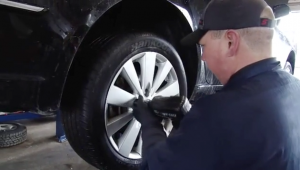 Brownie’s Auto Repair specializes in Maryland State Inspections in Frederick & Walkersville, MD. If you need a Maryland State Inspection in Frederick, MD, contact us to schedule an appointment.